It’s hard to pinpoint the inception of the esports movement, but much speaks for placing it somewhere around the year 2000. Fueled by fears of the end of the world (brought about by the Y2K bug), public sentiment took a downturn. In Asia, specifically South Korea, a financial crisis had ravaged the economy and conjured a bleak outlook onto the future. Scores of yuppies were fired and turned into NEETs. Instead of browsing the internet and doing nothing at their office jobs, they now passed their time in cyber cafes, playing online multiplayer games. Once this forlorn demographic got hooked on MOBAs, there was no way back. The existing internet cafes filled up and new ones sprouted. Later, with the expansion of the broadband internet network, players sank hours into the games from the comfort of their unmaintained homes. The gamers of MOBAs turned out to be incredibly competitive. Little by little, tournaments arose to cater to that sentiment. The major competitions emerged around 2010: the World Cyber Games, the Intel Extreme Masters, and the tournaments run by Major League Gaming, to name a few. They attracted more and more participants; commercialism found entry and began to take hold of the industry, with entrepreneurs looking for opportunities to make money. Since 2010, esports has enjoyed a tremendous rise in popularity. The amount of time spent watching the broadcasts worldwide more than doubled from 2012 to 2014. The growth of the revenue lagged behind a couple of cycles but nonetheless increased twofold as well within two years. Revenue totaled $194m in 2014, $325m in 2015 and, in 2016, the esports industry earned $493m. For 2019, Newzoo.com estimates the expected revenue from esports at a whopping $1.1 billion. Ground zero, Asia, was the main esports market in 2015, followed by North America, and then Europe. This growth has brought about an industry which offers tremendous opportunities. The massive amounts of capital attract economic ventures hoping to become the equivalent to ESPN or NFL in traditional sports of analog times. Football, soccer, or any other competitive sport have long since managed to harness the enthusiasm of the fan masses and the streams of revenue by organizing themselves in leagues and clubs to create a spectacle around their stars: the players. The highest organizational level in esports is the leagues. They are pretty similar to leagues in traditional sports — at first glance, in fact, one might mistake the two; the Major League Gaming logo follows the familiar color pattern of red and blue, with the white outline of a controller in the middle. The infancy years of leagues are over now, and they are hard at work to harness the streams of revenue mentioned earlier. Blizzard Entertainment, the publisher of Overwatch, recently launched an initiative which foresees teams from different cities for an Overwatch league. It’s fun to think that in the future we will have Overwatch teams like we have city-based teams for the NBA. 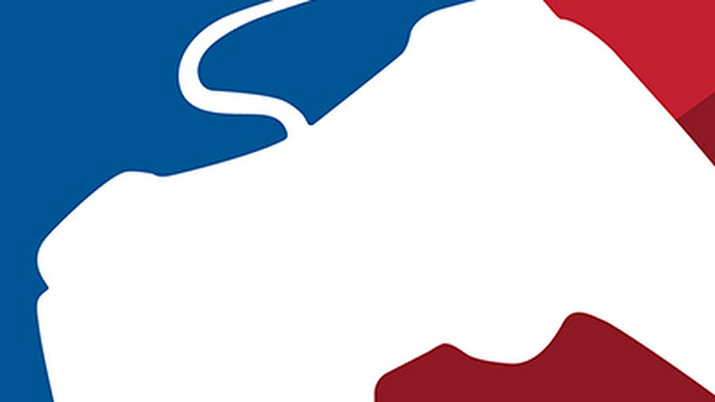 In fact, the NBA has smelled the bacon and is attempting to expand into esports, as well. Together with Take-Two Interactive, an NBA 2K eLeague is in the works, which will be structured similarly to the National Basketball League by establishing teams tied to major U.S. cities. Five-man teams will represent every real-life NBA team, and the seasons will be five months in duration. It’s an international trend. Schalke 04 in Germany and PSG Esports in France have begun to build esports teams for FIFA, League of legends, and Rocket League. Manchester United was reportedly preparing to buy a team for Overwatch. When talking about the leagues and the teams, the protagonists of esports are still omitted: the individual players. They’re the heroes of esports and the placeholders of identification for the fans. Just recently, I covered the ESL One tournament for OPNoobs. On September 20, FaZe Clan won this New York City-based tournament, receiving $125K prize money. Behind the scenes, around the press room, as we reporters were following the happenings on the main stage, the name Olofmeister was frequently murmured. Olofmeister is Olof Kajbjer Gustafsson’s Gamertag, his pseudonym. He came into professional Counter-Strike playing after he sustained a knee injury from football at the age of fifteen. This incident is rumored to have triggered his transition from casual gaming to playing professionally. Currently, at the age of 25, he is regarded as one of the best Counter-Strike: Global Offensive players in the world has earned more than $300K in prize money and is the darling of the commentators, who parse the action on the stream for the audience. It appears that the circus around professional gaming, much like Hollywood, is a cold one: it uses you up, and once you stop performing, it throws you away. In fact, the new streaming media brings athletes close to the fans and creates an unfiltered intimacy. Sometimes, the exposure, in combination with stress and emotional issues, can have adverse effects. Some players have their team or their captain to help them cope, but when a support network is missing, you have incidents like the one around Toronto Esports’, Matt “Dellor” Vaughn who lost his marbles during an Overwatch ranked match beginning of the year. Matt repeatedly screamed racial slurs at his opponent over voice chat for an extended period. His subsequent apology could not stop the decline of his career. It remains to speculation as to why these incidents happen. Esports players seem to have everything going for them. After all, they make money from playing video games all day. However, these misconceptions about players’ lives and seeing them as “having everything going for them” do the sport a disservice. The breakdown like Vaughn had are partly symptomatic for the pressure esports players are under, physically and mentally. While esports are structured like traditional sports, the actual physical exercise is very much different. It’s monotonous, repetitive, sedentary. Their physical fatigue is not exhaustion of a muscle but is noticeable for them in sinews and joints that get inflamed. At first, they only hurt occasionally, but if left unattended, the injuries can break a career. Clinton “Fear” Loomis, one of the top DOTA players in North America, had to stay away from matches due to tennis elbow from gaming (it probably should be called DOTA-elbow now). Hai Lam, a professional League of Legends player, now part of team FlyQuest, had problems with his wrists in 2015, which ultimately resulted in his retirement from his team. Not only are the bodies of the players at risk, but their minds suffer great strain, as well. To consistently excel in esports, one must consistently train. This puts particular pressure on the players. As George "HudzGG" Hoskins mentioned in an article on Esports News UK, “I find it really hard going from the top of something to being forgotten.” Additionally, as esports is a young discipline, the fate of athletes after gaming — a possible life after all the tournaments — is not something that is being planned for sustainably. Hoskins continues, “I just think it's important these kids have backup plans, as I never did, and it's left me a bit in the lurch." It appears that the circus around professional gaming, much like Hollywood, is a cold one: it uses you up, and once you stop performing, it throws you away. Our years are not like human years. We probably have [the equivalent of] three years, maybe four years, within a calendar year, and that’s why things change drastically. Virtus.pro is another example: they made a major final in January, (they were) top team in the world. But right now (they) can’t even get out of the group stages. They look, at times, almost hopeless compared to where they were nine months ago. How does a team fall so fast? [...] Players are pretty closely matched. There is very little for them to do to stand out from each other. The top players, when viewed altogether, differ little. ‘Star player’ status is seldom long-held. Also, as Redeye confirmed, a team that has been at the top for a long time can suddenly slip down into the Top 20. The teams and the individual players are under an enormous pressure. Even if they win, they cannot relax. The next tournament is always already on the horizon, and the contenders are hot on their heels, watching their videos and learning effective counterstrategies or developing new meta. Maybe that was the reason that FaZe Clan refused to give an interview after the final match at ESL One. A seemingly arrogant move at first, but once you think about it, it paints our heroes in a tragic light. Of the players who did show up in the press room, I noticed that they had a distant, aloof air about them. They seemed quiet, withdrawn. My interview with Sapphire, an observer of the matches, allowed me to understand what the players experience, and empathize despite their aloof attitude. They work pretty demanding careers. They travel all the time, they practice, they’re very exhausted. When they get to an event, for example, they have a high level of expectation for things. When getting picked up from the airport, the shuttle needs to be there, because they need to rest. When they go into their practice rooms, the setup needs to be similar to what the tournament is. Those things are important because they add up and get them more rest or better preparation. One of the biggest issues right now is that everyone is overworked. There are tournaments almost every single day of the year, and it’s overwhelming; granted, teams could turn down events if they like, but they’re missing out, and a lot of times these events are invitation only. If you don’t go to event A, you’re not going to get invited to the next in the series. In March 2015, the notice of an attempted suicide of League of Legends player Cheon "Promise" Min-Ki sparked speculations around the reasons. His last words, which he published on Facebook, explained that he did it because he had been forced by his coach to throw a game. The coach — who had been in debt with loan sharks — had formed the team for the sole purpose of betting on the opponent and having his team lose. To achieve that, he exerted psychological pressure on his players, under which Promise crumbled. Fortunately, he survived the fall. The large sums that circulate in the esports scene, either in the sport itself or its derived markets like betting, tempt the worst side in humans. As a report by Newzoo points out: like for many other sports, for esports, betting is a separate realm that operates under its own rules and mechanisms. And, like other sports, the amounts of money wagered are frequently greater than the revenues of the sport on which the betting is based. But, the money within the sport isn’t shabby either. Business Insider registers a more than ten-fold increase in esports prize pools between 2007 and 2015. With more money that can be earned, there are more people chasing after it. But it’s the players carry that shoulder the burden, and sometimes they collapse beneath it. In their desperation, some players resort to enhancing their performance with drugs. What steroids are for baseball or Erythropoietin for cycling, Adderall (or “addies,” as the cool kids call it) is for esports athletes. Adderall stimulates the brain, leading to a feeling of euphoria, with the potential of addiction. While it helps with focus and enhancing the attention span, it has not been proven to enhance performance. One incident that can be considered a scandal of sorts involves the professional Halo player Tyler Mozingo (who goes by the somewhat ironic gamertag, “Calm Mentality”). He told ESPN’s Outside the Lines in a televised interview that he used Adderall during the tournaments. Mozingo described the drug’s effect as enhanced focus and faster reaction times. He also attributed to it a somewhat magical-sounding ability to predict the other players’ movements. In the article, he is quoted as saying, "You feel untouchable in a game." The rising trend to take Adderall sparked critique from the Esports Integrity Coalition and called the league organizations to action. The ESL, for example, introduced stricter anti-doping measures. In collaboration with WADA (World Anti-Doping Agency) and NADA (Germany’s National Anti-Doping Agency), they created anti-doping policies and methods of monitoring. I think it’s only going to get bigger... it’s the fastest growing sport in the world. The audience rivals that of the most popular professional sports in the world; it’s going to grow. And right she is. As business Insider projects, the brand spending on esports will almost double by 2019. The esports market will grow to $1.8b in 2018, and that number is projected to surpass $1 billion by 2019. 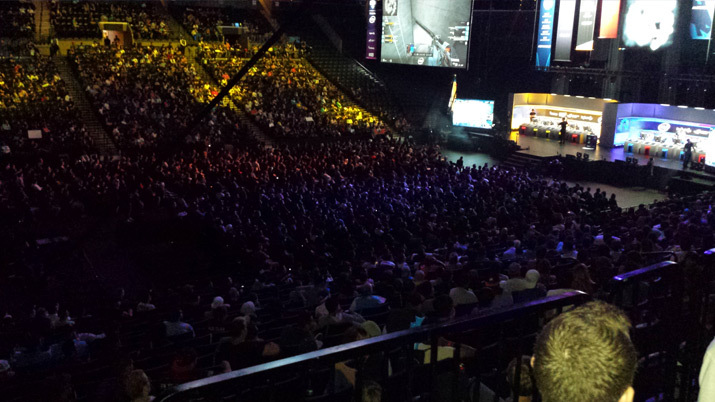 Esports is growing tremendously. Whether it can be run like traditional sports remains to be seen. Yes, like any sport, people compete and get ranked according to their success. However, there are also things that make it completely different from other sports. While other disciplines require a talent or certain physical traits, it seems like anyone can “git gud” at a game if they only train enough. That’s why the top players have to keep constantly training to keep the contenders at bay — or, looking at it differently, maybe that makes it a truly egalitarian sport. You are not born with a set of physical features that let you excel (like height for basketball, for example), you just need to train a lot and be able to withstand the pressure. This is why it is appealing to a wide group of people; perhaps esports become America’s, or the world’s, new favorite pastime.